As I complete my second year blogging, I must say the experience has turned out to be far more rewarding than I anticipated. I have gained friends, enemies and frienimies. I have gained the trust of readers and supporters from countries all over the world. This year proved to be a rewarding year for me. My first born son completed high school and became an adult; I became a U.S. citizen; and I graduated from University of South Florida with a Master’s in Public Administration. I remain thankful and humbled by the opportunities that life has afforded me. I recall coming to America with practically no funds and a dream to achieve…sometimes in life, a leap of faith and an action plan guided by a trust in God is all you need! 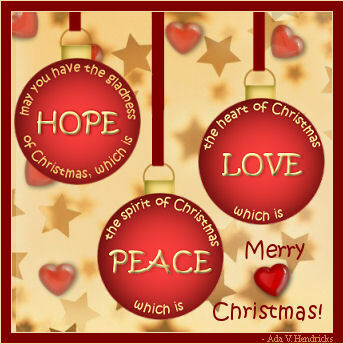 With that said..I wish all my readers: Happy Holidays, Happy Holy Days and a very Merry Christmas. Please plan to have a prosperous 2014! Reflect on your past only to steer your future! What is done cannot be undone so leave the burdens of regret behind. Whatever you want to achieve, have a plan in place and believe in yourself always. Start with loving you first and everything else will follow! Stay blessed and please keep reading and sharing. I appreciate your feedback or ideas for the coming year and Thank You for reading!